Lee Mikeska Gardner (Artistic Director, The Nora Theatre Company) was last on the Central Square Theater stage playing Olympe de Gouges in The Nora’s production of The Revolutionists. Other Boston roles: Brodie in Precious Little, Tess in Marjorie Prime, Emilie in Emilie: La Marquise du Châtelet Defends Her Life Tonight (Elliot Norton award for Outstanding Actress, Small Theatre) and Carla in the IRNE nominated Chosen Child at Boston Playwrights’ Theatre. Favorite roles (all in pre-Trump Washington, D.C.) include Terry in Sideman (Helen Hayes Nomination for Outstanding Actress) and Florence Foster Jenkins in Souvenir at 1st Stage, Mary in A House in the Country with Charter Theatre (Helen Hayes Award for Outstanding Actress), Luisa in A Shayna Maidel at Rep Stage (Best Actress in the Baltimore City Paper), Claire in The Two-Character Play at Spooky Action and Josie in The Show Off at The American Century Theatre. Lee has earned an additional three Helen Hayes nominations for performance. As a director Lee most recently helmed The MIdvale High School Fiftieth Reunion as well as Journey to the West, a co-production with Underground Railway Theater. Other directing credits at The Nora are: Her Aching Heart, Grounded, Saving Kitty (with Jennifer Coolidge) and Arcadia. An Artistic Associate for ten years at Woolly Mammoth Theatre Company, Lee directed a show a season, earning Helen Hayes nominations for direction for After Ashley, Life During Wartime, and Goodnight, Desdemona, Good Morning Juliet. 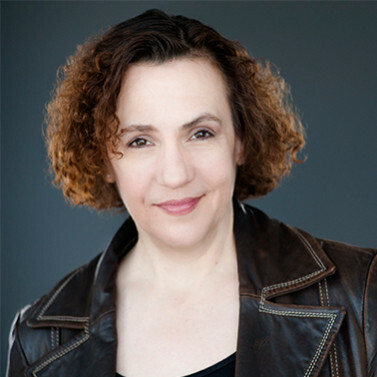 As an Associate Artist with 1st Stage, Lee directed Blithe Spirit, The How and The Why, Humble Boy and Fuddy Meers. Lee served as the Managing Director for Washington Shakespeare Company for five years directing shows including the world premieres of Caesar and Dada and Learning Curves as well as A Midsummer Night’s Dream. Other favorite directing projects include Across the Wide and Lonesome Prairie at The Kennedy Center; Angels in America and Peristroika at Signature Theatre; T.S. Eliot’s The Cocktail Party for the Washington Stage Guild (Theatre Lobby Award); Golden Boy and Who’s Afraid of Virginia Woolf? with the Keegan Theatre (Artistic Associate); The Butterfingers Angel…, Thom Pain (Based on Nothing), Stones In His Pockets and Three Tall Women at Rep Stage, where Lee also served as Managing Director for two years. Lee spent seven years as Associate Artistic Director with the Shenandoah Playwrights’ Retreat working on plays in development. As an educator, Lee has taught or served as a Guest Artist at Colleges and Universities across the nation including Emerson, University of Nevada, Las Vegas, UVA, Charlottesville, University of Maryland, College Park, and Middlebury College. Lee has a B.F.A. in the Performing Arts from George Mason University and an M.F.A. in Acting from The Catholic University of America.